California Measure Would Expunge Many Marijuana-Related Crimes A bill approved by the legislature would require a review of all marijuana-related crimes in the state between 1975 and 2016, when pot was legalized in California. 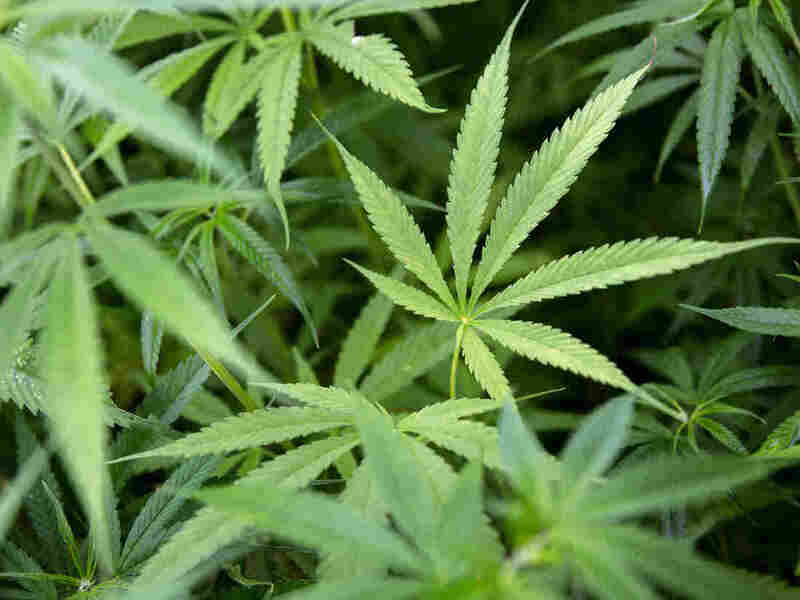 California's legislature passed a bill Wednesday that would require officials to review all marijuana-related convictions from 1975 until 2016, when pot was legalized in the state. California lawmakers have approved a measure requiring prosecutors to expunge convictions or reduce sentences for many marijuana-related convictions dating back decades. The bill is now awaiting a signature from Gov. Jerry Brown, according to The Associated Press. The bill, passed by the state Senate on Wednesday, would require the state's Department of Justice to review cases dating as far back as 1975 until 2016 to determine their eligibility. Proposition 64, which was approved by California voters in 2016, legalized the recreational use of marijuana. However, as The Associated Press notes, "When voters passed Proposition 64 in 2016 to allow adult use of marijuana, they also eliminated several pot-related crimes. The proposition also applied retroactively to pot convictions, but provided no mechanism or guidance on how those eligible could erase their convictions or have felonies reduced to misdemeanors." If it becomes law, it would put the burden for cleaning up those records on the state. If the bill goes into effect, state DOJ officials will have until July 1, 2019, to determine which cases are eligible for review and turn them over to the district attorney's office, which will have another year to make any objections. Democratic Assemblyman Rob Bonta introduced the bill in January. He was also part of the group that pushed for approval of Proposition 64. "This directs us to forget any prior behavior that was illegal. They should not be given a pass," Republican state Sen. Nielsen, who opposed the measure, told colleagues, according to The Los Angeles Times. NPR reported in December that more than 4,000 people had already petitioned the courts regarding their marijuana-related crimes. However, there are still many people who are unaware that they are eligible to petition for a review of their conviction. NPR's Ari Shapiro spoke with San Francisco District Attorney George Gascon in February on the subject. San Francisco took measures to expunge and reduce the convictions for possession and recreational use going back to 1975 because only 23 people in the city started the process themselves. "The problem is that if you go through that process, you have to hire an attorney. You have to petition the court. You have to come for a hearing. It's a very expensive and very cumbersome process," Gascon said in the interview. "[The] reality is that the majority of the people that were punished and were the ones that suffered in this war on marijuana, war on drugs nationally were people that can ill afford to pay an attorney," he said. The new bill would alleviate that stress, according to Bonta, who was quoted in the LA Times. "[The] role of government should be to ease burdens and expedite the operation of law — not create unneeded obstacles, barriers and delay," he said, according to the newspaper. In December 2017, Brown pardoned nearly 150 people including about 60 who were convicted on charges concerning controlled substances and drugs. At least 10 of those pardons and sentence reductions were for individuals convicted on marijuana charges. State law gives Brown 12 days from Wednesday to sign or veto the legislation or it becomes law without his signature. An earlier headline on this story incorrectly referred to the marijuana bill as a law. It has not been signed into law by the governor.